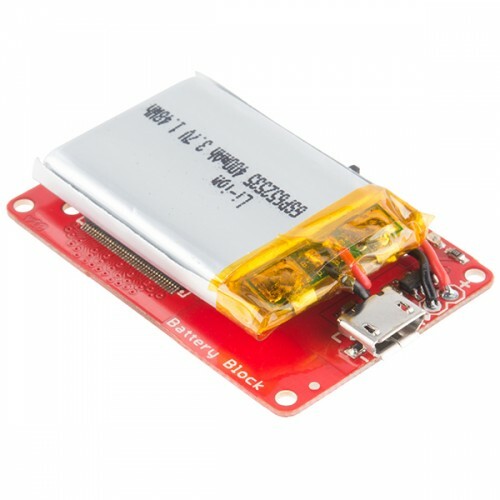 The Battery Block brings a single cell LiPo Charger and 400mAh battery to power an Intel® Edision and expansion blocks. 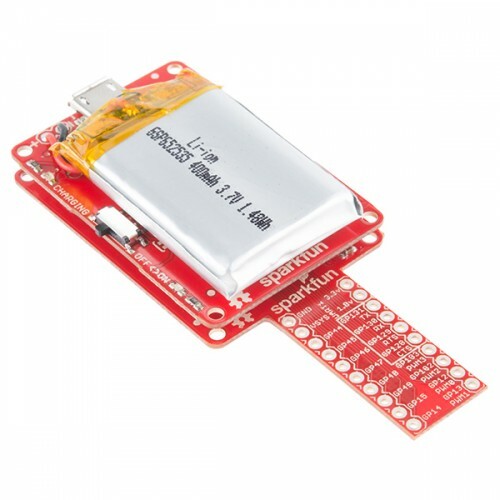 The Battery board can be used with an external battery to increase runtime of your Edison which can be plugged in with a micro USB cable to deliver a 500mA charge current. Additionally, the power switch removes the battery from the Edison while allowing it to charge via the microUSB cable. If you need more battery life, it is possible to gently peel the battery off, de-solder the wires, and replace it with a larger cell. If you remove the battery, it is also possible to expose the expansion header to continue stacking blocks. It may be necessary to find an alternative mounting point for your battery in this case. Go wireless with Edison! 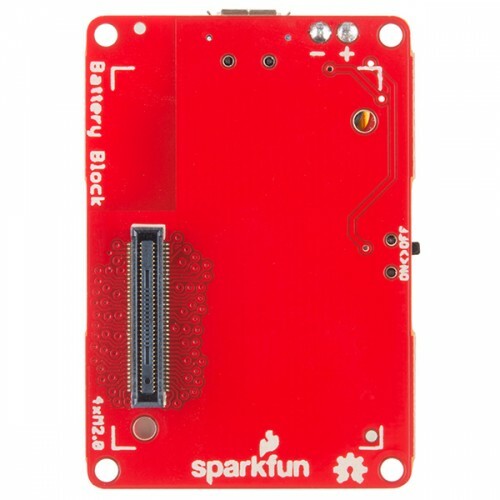 Note: This Block requires specific stacking considerations when attaching it to other SparkFun Edison Blocks. Check the Hookup Guide in the Documents section below for more information. Note: This item may take longer to process due to battery installed in the equipment and therefore does not qualify for same-day shipping policy. Sorry for any inconvenience this may cause.